Although not as popular as gas fired tankless systems, we do get the occasional request to install electric tankless water heaters here in our area. They can be a great option in certain circumstances, but generally do not perform well here in the colder climate of the Pacific Northwest. The culprit is colder incoming ground water temperature, which can drop into the 40’s in the middle of winter here. 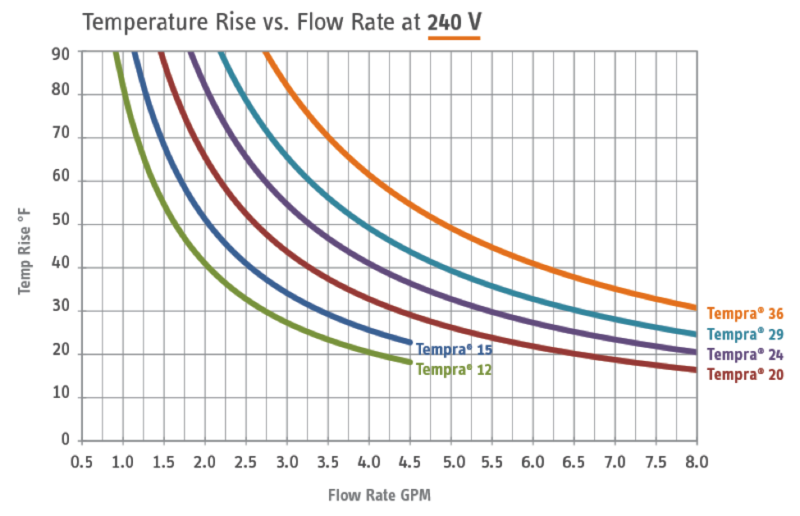 This means that a tankless unit must raise the temperature 70-75 degrees to supply 120 degree water. 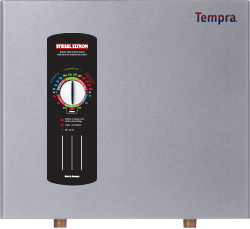 Even the most powerful electric tankless unit (Stiebel Eltron Tempra 36) will only produce around 3.5 gallons per minute under those conditions. While this will work in a cabin or smaller home, it is not generally suited for the average whole house application where multiple users can need hot water at the same time. By comparison, if you were to install the Stiebel Eltron Tempra 36 in a warmer area like southern California, where ground water temperatures stay in the 70’s year round, you would get 5.5 gallons per minute at 120 degrees, which is even better than the most powerful GAS tankless units installed in our area. Another thing that makes electric tankless difficult or expensive to install is the electrical requirements. Consider that an average electric tank style water heater is powered by a single 240 volt, 30 amp circuit with 10 gauge wires. 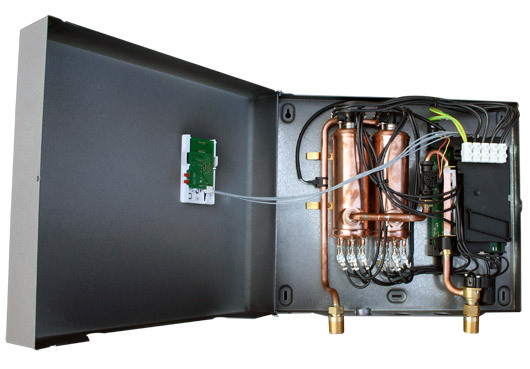 The most powerful electric tankless unit requires 3 separate 240 volt 60 amp circuits, and 6 gauge wires. Most homes will not have that much power available without installing a sub panel. 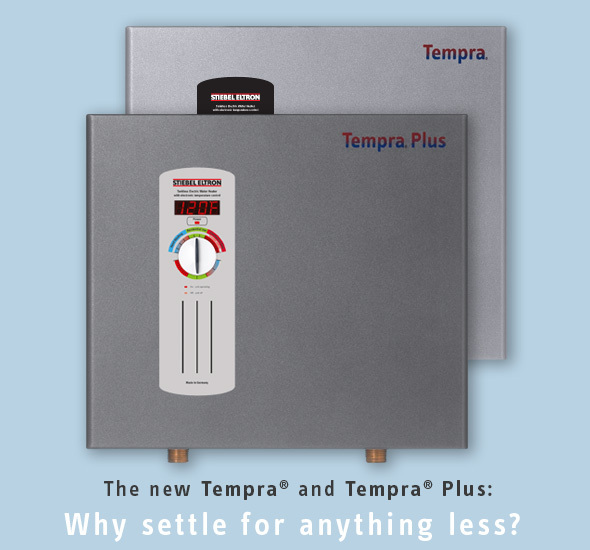 Electric Tankless Hot Water Heater, Heating & Cooling, Ductless and Hydronics.